The first stop of the PokerStars Pro Tour kicked off on July 17 at the Palomar Card Club in San Diego. 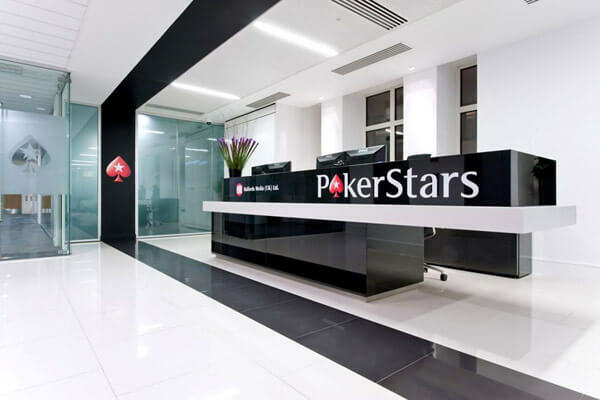 Poker players in California have been gathering up to meet select PokerStars Team Pros and discuss matters surrounding online poker and regulation. While the chances of online poker passing in CA in 2015 are becoming increasingly slim, this is a great time for PokerStars to start up this tour. It has potential long-term benefit to California and PokerStars both in terms of helping to usher in regulation but also as a marketing tool for the industry. The current legislative session ends on September 11. As www.onlinepokercalifornia.org recently reported, there has little progress towards compromise and this issue will likely roll over to next year. Typically, this would also be the date that most meaningful discussion would stop regarding online poker until the following year. With the PokerStars Pro Tour, the positive message surrounding California iPoker will be communicated year round and throughout the state. This isn’t some group of disembodied lobbyists in Sacramento trying to get your vote. These fellow poker enthusiasts and pros will be at your local casino telling you why you should be playing online. Those of us that grew up in small towns can remember a local store that stayed in business only because they were known in the community. There were other stores with cheaper goods, but the people that ran the local mom and pop shop were friends and people that you grew up around. You had a face to go with the store you frequented. The PokerStars Pro Tour will put faces on PokerStars as a company, and for some that can mean the difference between supporting online poker and just allowing the status quo to continue. This is also a form of future marketing for PokerStars. Once online poker is legalized in the state, players are going to remember that Daniel Negreanu, Vanessa Selbst and Jason Somerville came to their casino to promote the product and that will result in conversions. The PokerStars Pro Tour will not only keep the discussion going but it will also serve as a way to educate the masses about online poker and iPoker regulation. There’s still a substantial number of citizens that either do not know that online poker legalization is being considered or they do not have the facts regarding regulation. This tour can help fill the knowledge gap that currently exists in the state and can correct some of the misinformation that is currently floating around the state. An educated public is one that will take action to contact their legislators to support online poker. Once iPoker is legal, these same people will be the first to signup for accounts as they know the facts and have confidence in the new regulated industry.